I drooled over friends’ kettles with integrated ball valves. It looked so convenient! All you have to do is open a valve and hot water flows into your mash tun or wort flows right out into your fermenter. I have a confession to make: I have done something stupid while brewing. Repeatedly. I’m not even talking about losing track of time and missing a hop addition or forgetting ingredients, I’m talking about nearly losing the ability to use my left hand. Every time I brewed. Literally, my guardian angel must really like me. 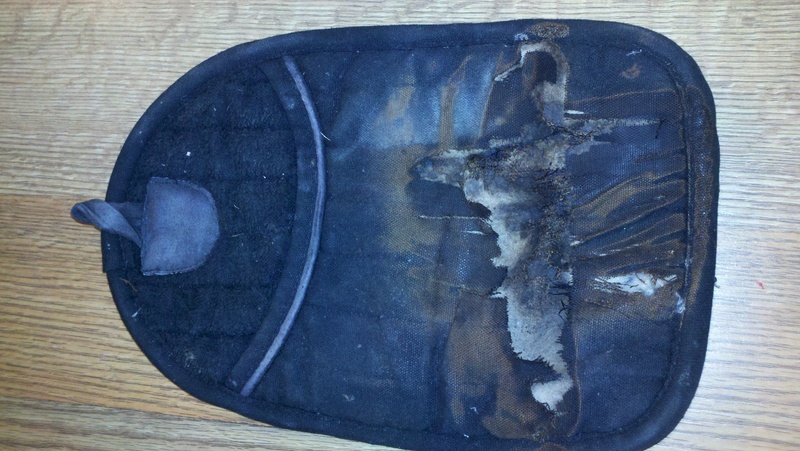 Please view: Exhibit A – the burned-up hand protector. This is a heavy duty pot-holder, which sane people use to remove hot items from the oven or stove top. You probably noticed several layers of fabric are missing and the top layers which are present are charred to a crisp. Looking at this picture in hindsight, I am almost embarrassed by my own stupidity. 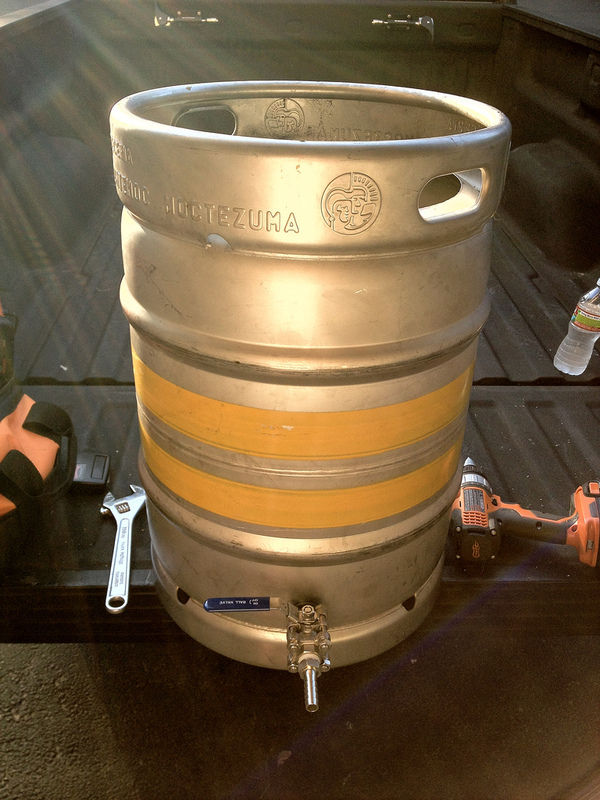 For over a year, while using my converted keg brew kettle, the way I transferred hot liquid into my mash tun was to place it on a rack on the ground next to my burner, grab the handle integrated into the keg with my right hand, use the above potholder to grasp the still red-hot bottom of the kettle and tip the kettle into the cooler. The 165-degree F water splashed vigorously out of the kettle, through the air, into the cooler and some of it splashed out, but never enough to soak through the pants I was wearing. Eventually, I realized what a horrific trip-to-the-emergency-room-in-waiting this process is and decided to do something about it. I purchased a weldless kettle conversion kit and a stainless dip tube. 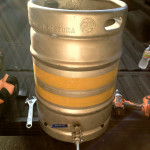 My first few brews went so smoothly, I almost felt lazy. It was so nice not to have to worry if my fingers would slip off the pot-holder and get burned. I didn’t have to worry whether the liquid would splash out and burn me while dumping from one container to another. Don’t do dumb stuff, like I did. It’s worth the money to set your kettle up correctly and be safe. If you have any stories about dumb brewing stuff you or “someone you know” have done, share them below.